The vintage tea party I styled and catered for was a hit. I can’t wait to show you photos and tell you all about it. The best part was doing it with some of my girls and two special friends. My hubby was a legend loading and unloading two van loads full of my gear and coming to the rescue more than once to fix a broken drink decanter and set up my backdrop frame. I was so thrilled with how it all came together, especially the pastel vintage theme and matching sweets. 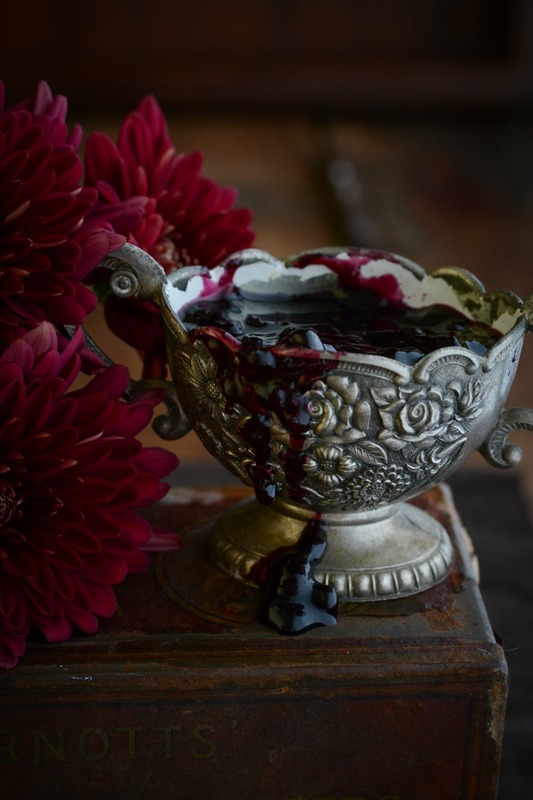 My creative heart soared! And now, to cupcakes. I know blueberries are a Summer fruit, but our lemon tree is full and I have been making jars of lemon curd to use up the surplus fruit. 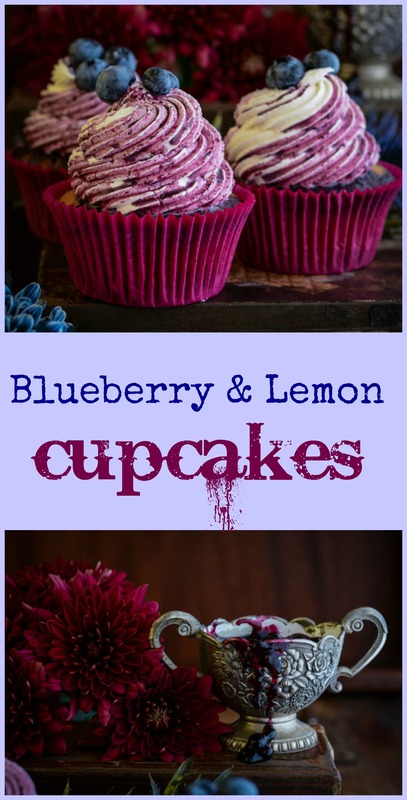 I thought it would be nice to combine blueberries with lemon which proved to be a match made in heaven. 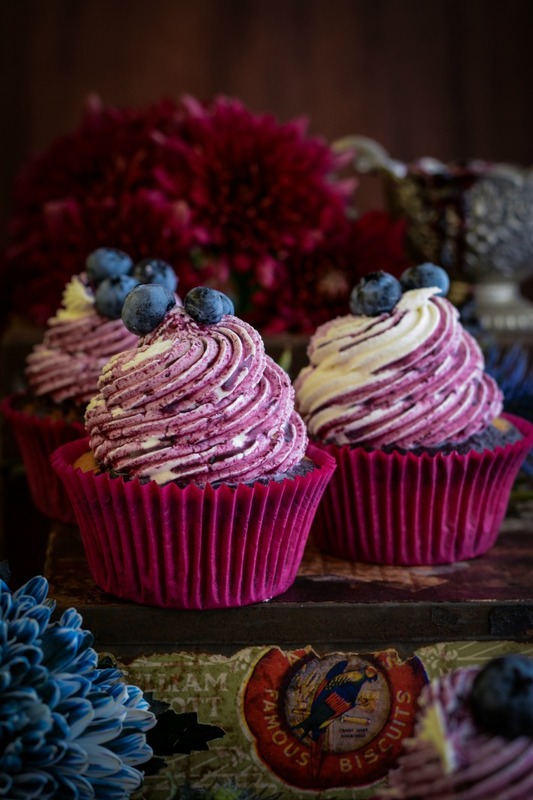 I filled my cooled cupcakes with blueberry jam, but you could easily substitute with homemade (or store bought) lemon curd if you like an extra zing for your zang. Top with lemon cream cheese buttercream and a drizzle of warm blueberry jam. Delish. 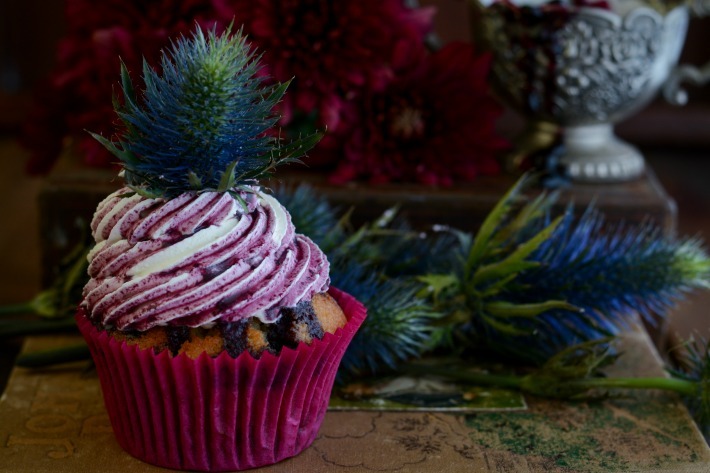 This delicious cupcake is packed full of flavour. Fresh blueberries, lemon zest and a blueberry jam filling make for a perfect tea time treat. Pour wet mix into the dry mixture. Whisk until well combined. Using an ice cream scoop if you have one, fill cupcake liners with mixture until a third full. 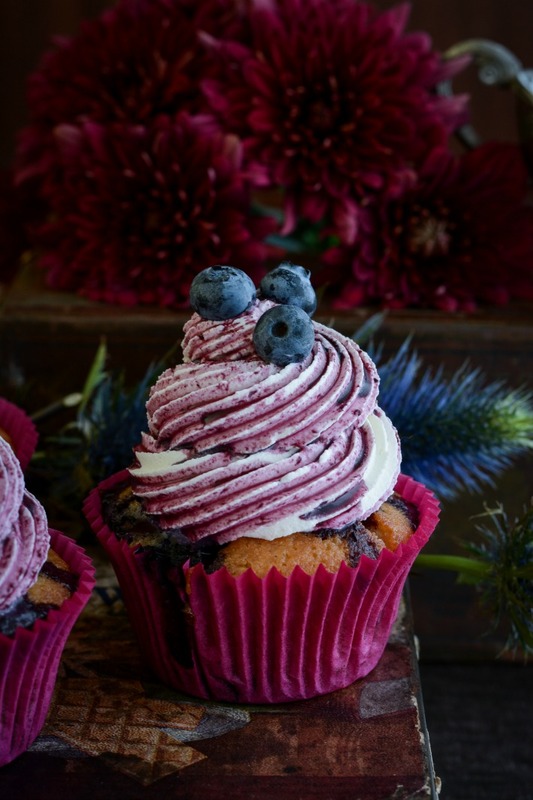 Carefully push blueberries into each cupcake. Make sure you leave some partly showing. Bake in a moderate oven for 18 minutes or until slightly brown and firm to touch. Cool on a wire rack. When cool, using a sharp steak knife cut a cone shape out of the top of each cupcake. 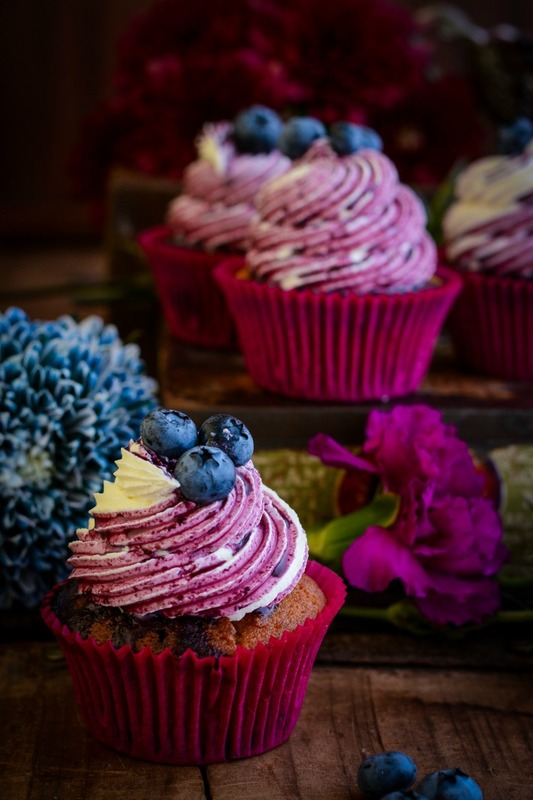 Place a spoon full of blueberry jam into each cupcake. Slice top off cone shape and return to cupcake. You can substitute lemon curd for the jam if you wish, for a more tart flavour. Top with lemon buttercream. In an electric mixer on med / high, beat 125g butter and 125g cream cheese for about 5 minutes or until very light and fluffy. Turn mixer onto the lowest setting and add approx 3 - 4 cups of icing mixture, a little at a time. Add dashes of cream as needed to get desired consistency. Add 1/4 cup of lemon curd. Mix well. 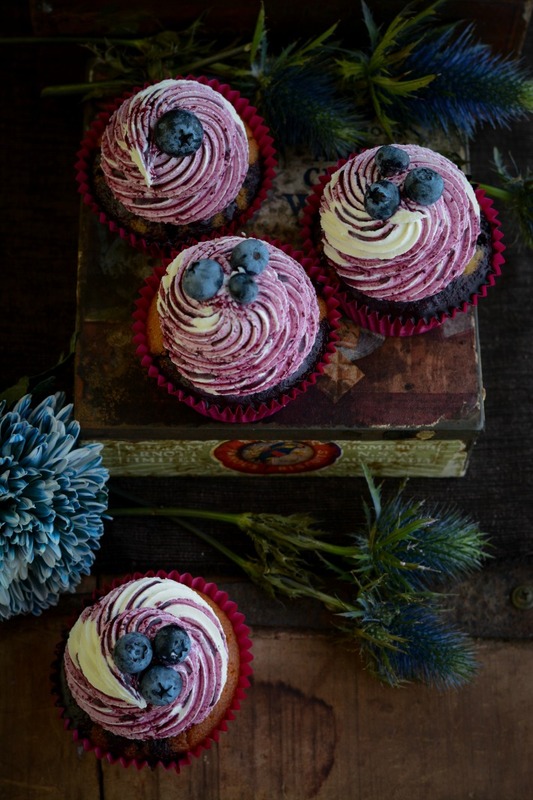 Pipe icing onto cupcakes and drizzle with warmed blueberry jam. Put a blueberry or two on top. Enjoy. That’s it from me tonight dear ones. It’s been a huge weekend and I’m ready to call it a day. 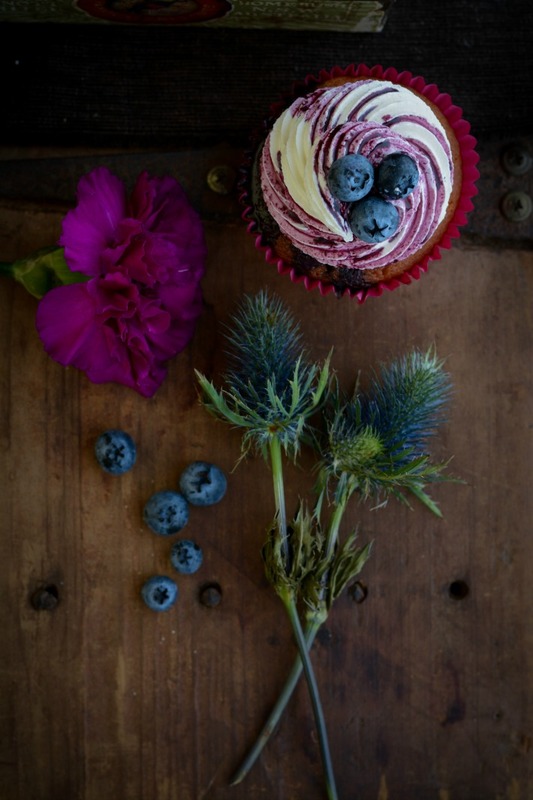 If anyone has a favourite cupcake flavour you’d love a recipe for, I ‘d be delighted to hear from you. I’m always looking for new cupcake combos to develop. Have a wonderful week and I am already looking forward to connecting again on Saturday morning.